As a creative-type, my aesthetically trained eyes are always wide open and looking for the next beautiful thing, something that inspires my senses and makes me want to create new interiors. During my recent travels in London I just knew I had to steal the 'above' shots and share them with YOU. 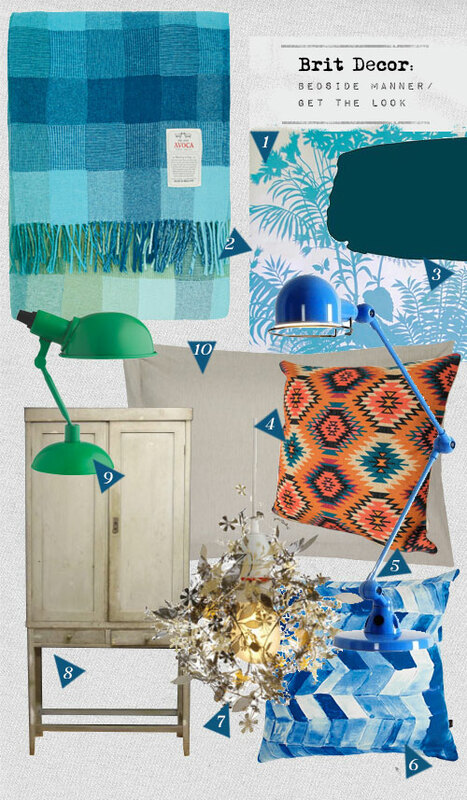 This bedroom setting has everything - all the essential styling tricks have been played out, and an exotic palette of exciting blues (with a few colour surprises) has been executed to perfection. But the beauty of this room doesn't stop there - the imperfection card has also been played, with the mis-matched and shabby vintage side tables adding an informal Boho feel. By contrast to the paired down elements of the room, this North London homeowner has also added a glamorous touch with Florence Broadhurst's quintessential Shadow Floral wallpaper - perfect for the vintage boudoir look. And from here, there is layer-after-layer of blue, from deepest navy with paler floral detailing, and rich marine blues extending into lighter and brighter aquas. However, don't you just love the surprising twist to this narrative created by the silk coral cushion emblazoned against the navy damask upholstery!? Colour isn't the only design element manipulated to its fullest potential here; like a storyline gathering pace, the design narrative allows texture to be explored too, with shiny silks encountering crushed neutral linens and the texturised blanket, which is kept fresh-looking by the contrasting white and turquoise design. 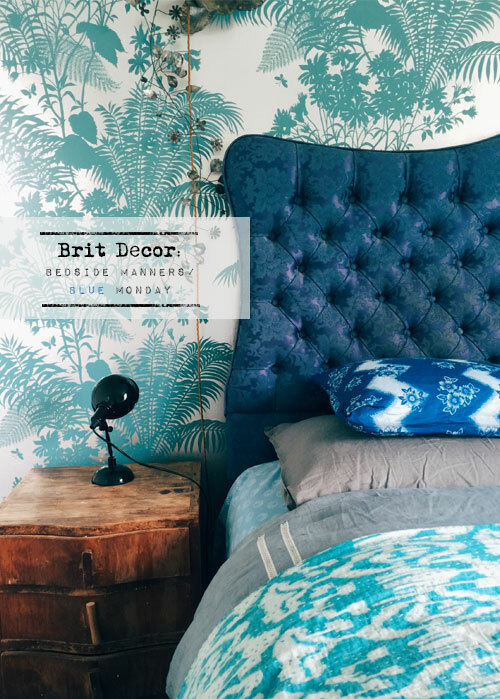 Back to the here and now - 'below' I have created my own interpretation of this scheme with a typical Brit Decor 'get the look' palette of inspired buys, following the same design principals as those used in this stunning bedroom. I hope that you have been inspired too. 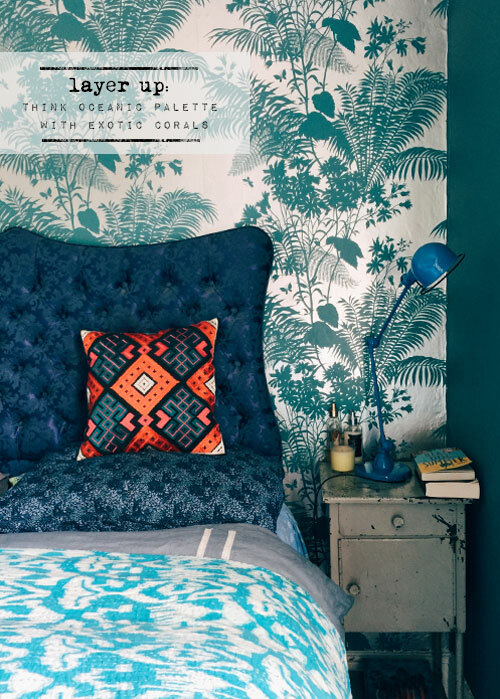 Really love the layers of print and colour in this room, plus the fab injection of coral makes a real impact, I have to say I love anything turquoise or navy blue!